These courses are required to be approved by Essex County Council. This ensures the standard of the Instructors, the range and quantity of equipment, and legally required insurances have been verified in addition to the course content. This is a mandatory requirement by ofsted the regulator and inspector of schools and Early Years Settings. Consequently this ensures the validity of the training provider and the standard of training being received is appropriate. The First Aid Kit is an approved provider of paediatric first aid training in Essex. Covers a range of child and infant related emergencies including choking, basic life support, and management of the unconscious child and infant. The course progresses further in the second day to medical emergencies related to children and infants. In a practical manner and wide range of equipment is available to allow students plenty of hands on practice. The students are encouraged to ask questions to ensure students are comfortable and competent by the end of the course. Trainers use a range of teaching technques including practical scenarios (Role Plays). To further enhance the standard of the course to students the qualification itself is Nationally Accredited. The QCF element means qualifications and Credit Framework. This is not a company in house qualification the (QCF) means the award is regulated by Ofqual (Office of Qualifications and Examinations Regulations) a branch of Government. 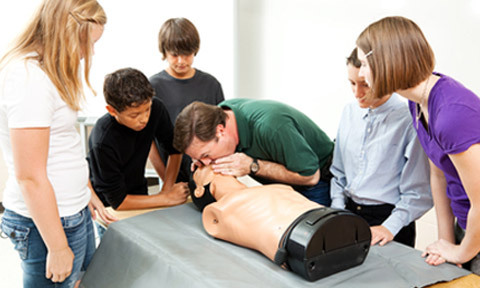 This further ensures the quality of the first aid training being provided by ourselves. As part of the (QCF) there is a multiple choice question paper that students must pass this equates to a pass rate needed of 70%. This ensures the high standard required of those acting as paediatric first aiders and as a responsible setting or childcare professional you will have demonstrated the skills practically and theoretically that is required to provide first aid to children. Receive a Paediatric First Aid Manual that is full colour and engaging, A Certificate Vaild for Three years, and a Personal ID card Identifying the individual as a Paediatric First Aider. Can be delivered weekdays and weekends throughout Essex we can travel to your venue numbers or alternatively you can visit the book online page of our website to find our open courses.